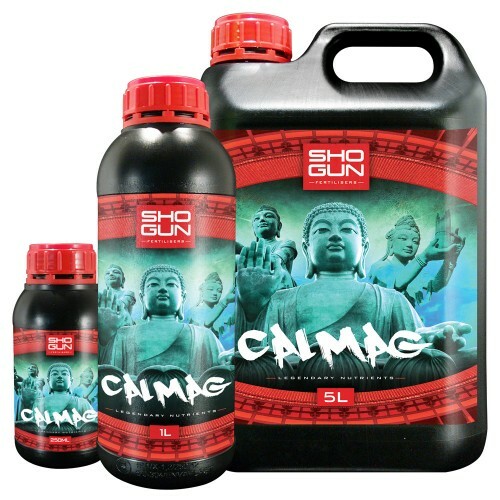 Shogun CalMag is an additive that can be used alongside your base nutrient from the late vegetative stages, right through to the end of the flowering stage, just before the final flush. It contains nitrogen (2.6%), calcium (3.2%), magnesium (1.2%) and a trace amount of iron (0.1%). Magnesium is a vital component of chlorophyll, the green pigment that is essential to the process of photosynthesis. Chlorophyll works by capturing light energy, which is then used to synthesize carbohydrates (sugars that plants use for food) from co2 in the surrounding atmosphere and water drawn through roots. Without a healthy supply of magnesium, the process of photosynthesis will slow down to a crawl and the energy produced by your lighting system will be rendered much less effective. 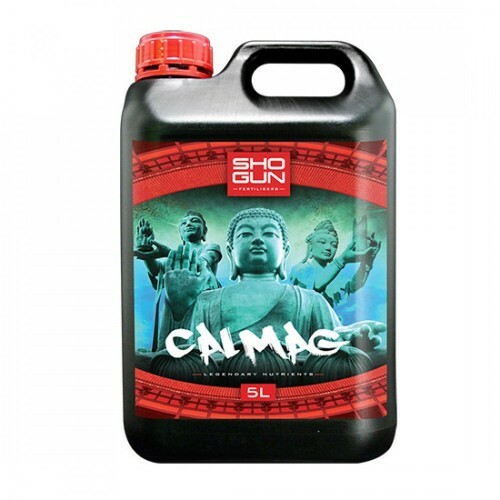 Calcium helps to increase the thickness of cell walls and improves the transportation of nutrients between different areas of the plant, making the nitrogen, phosphorus and potassium in your base feed that much more effective. This in turn fortifies the overall plant-structure, leading to thicker stems and stronger branches, while promoting an all-round increase in vitality. These properties raise plants’ resistance to pests, diseases and negative environmental changes (such as unwanted temperature drops in cold weather). 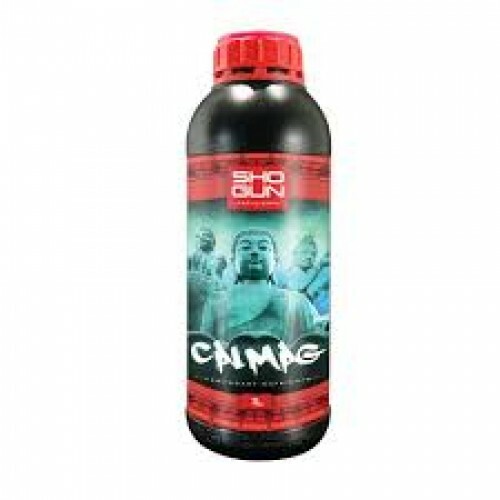 Shogun Samurai Coco A&BSHOGUN Samurai Coco A&B nutrient is literally light years ahead of al..